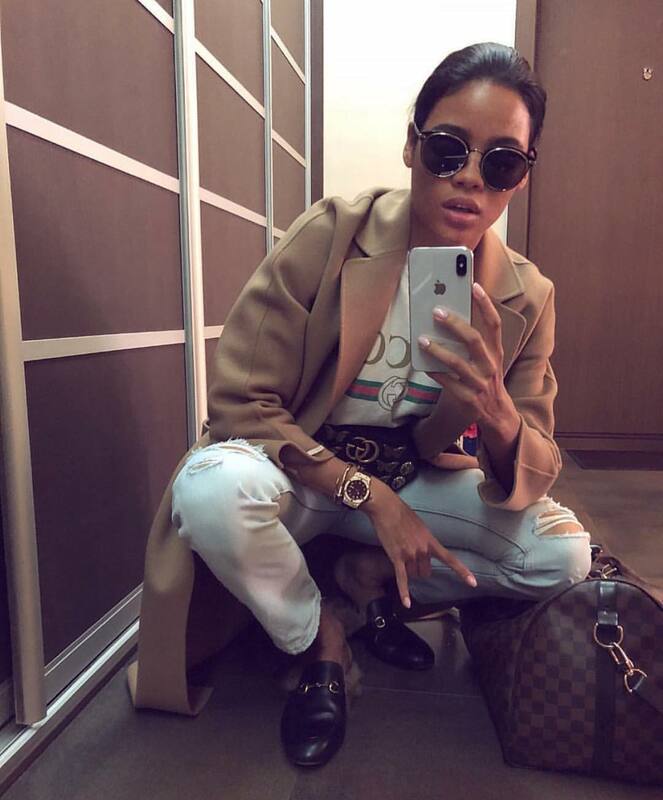 If you do like the mannish style and edgy details, then you definitely should try this tomboy-chic look. 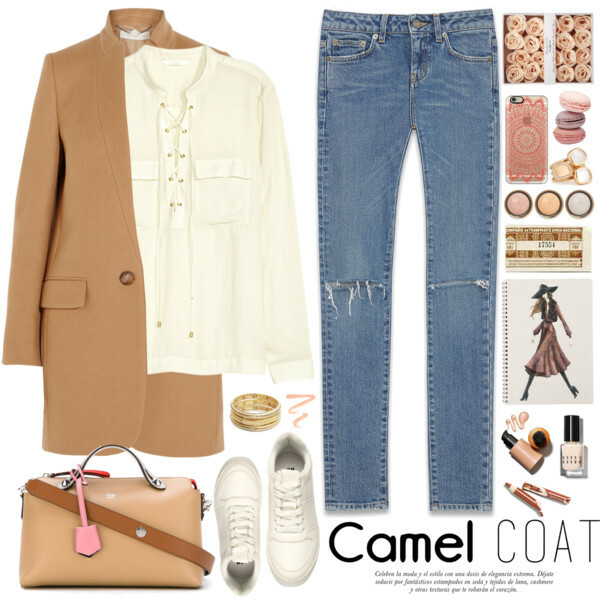 We see a camel coat worn atop white T-shirt tucked in ripped jeans completed with fur mules. Love these rounded sunglasses. We have another great post here! This time I want to speak about coats and what styles are in trend this year. I know, many of you hate cold season for freezing mornings, bad hair days (it can happen in the summertime as well), dry and itchy skin. Frankly speaking, I love Wintertime for a great selection of cozy clothes and amazing layering techniques you can create with your clothes. As I have already mentioned, we are about to talk about cold season outerwear called COATS and I am happy to share with you a stunning collection of all sorts of coat styles, including shearling coats, wrap designs, fur styles, long coats, camel coats and outerwear pieces with statement embroidery and details. So, what are you waiting for, let’s begin our trip! Let the battle begin! 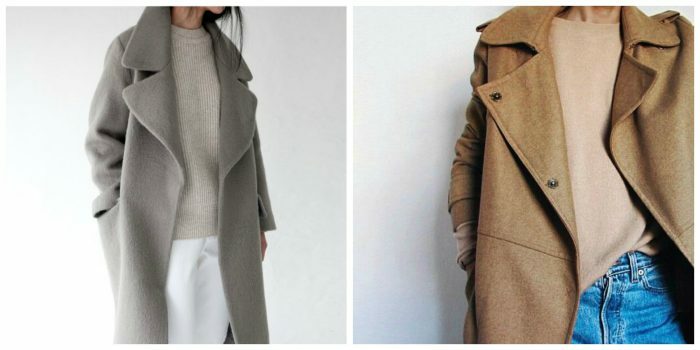 Today’s article is dedicated to my favorite outerwear pieces: camel coat and gray coat. Well, frankly speaking, this is a never-ending battle that is very personal. It’s the same as asking a man if he likes blonde haired women or black haired. But fashion dictates its own rules and nothing can stop it! 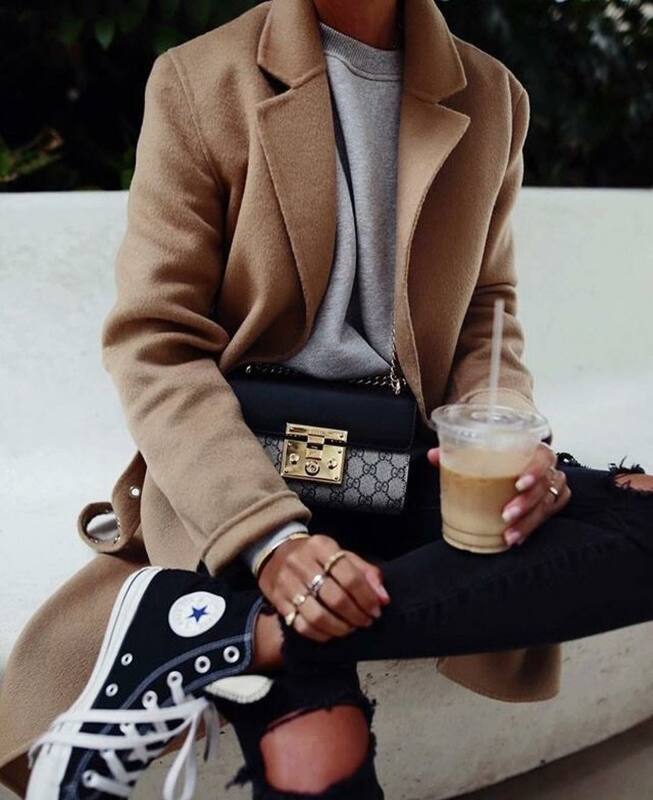 A bulky gray coat worn over neutrals and a camel coat over pastel knitted top teamed with jeans. This Winter is gonna be full of great outerwear styles and today I am happy to share with you comfortable and trendy coats you can wear on the streets and to special occasions. These fabulous outerwear pieces will complete your cold season closet and make you look special. You probably have gone mad in a search of a perfect coat, am I right? Today is your lucky day, as I want to bring awesome coats to your attention. An oversized maroon coat looks awesome worn over a ribbed knit black dress.